Sleek looks and good quality interior. Refined and quiet on the move. Available with seven seats. Well equipped as standard. Excellent 2.2 CRDi diesel. 5-year unlimited mileage warranty. Top models became quite expensive. Report of heater/a/c matrix of 2013 Hyundai Santa Fe faling five times, each tme replaced under warranty. Hyundai is clearly a company that listens when it comes to building a new car. And not just to its existing customers either. 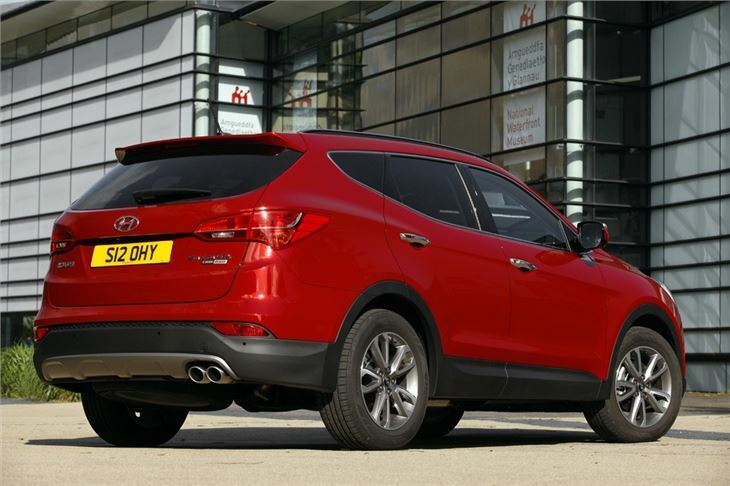 When it came to developing the third generation Santa Fe, the firm got feedback from current owners, but more crucially from people who didn't buy one. 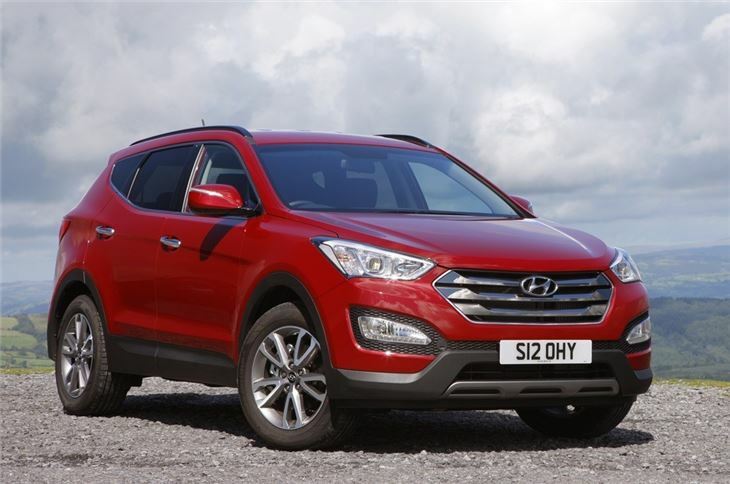 The views of customers who had shown interest in the Santa Fe but chosen something else highlighted areas where Hyundai was falling short. 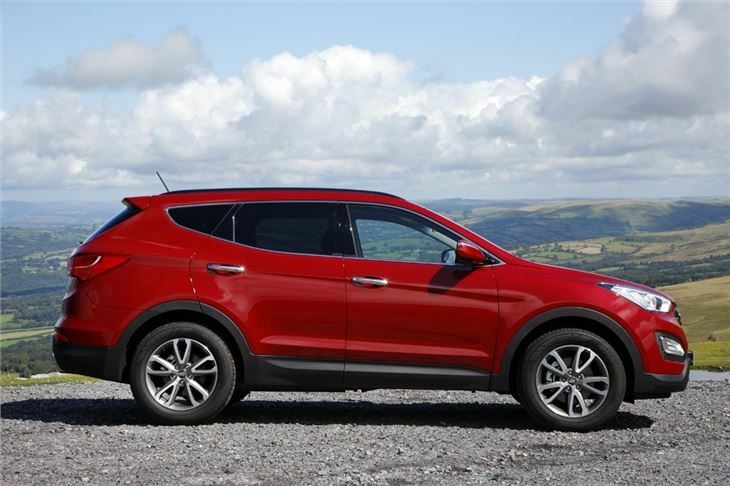 It has paid dividends too because this Santa Fe is a mightily impressive SUV. And it addresses the shortcomings of the outgoing model. The good things remain though. 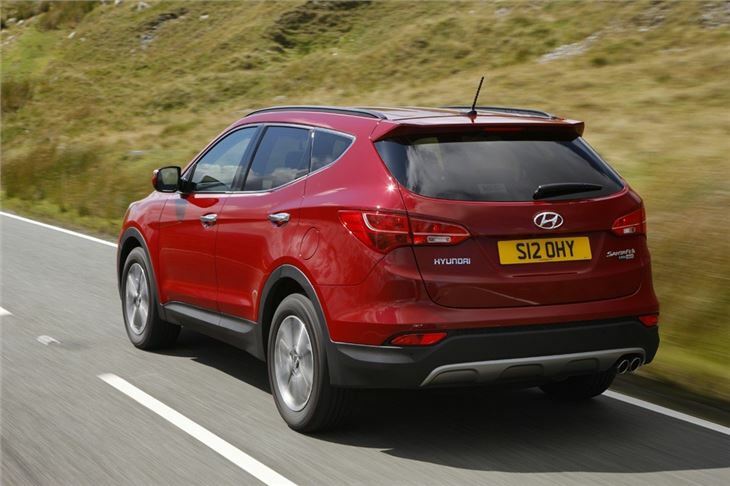 The Santa Fe built up a reputation as a good value, reliable and well built 4x4, making it an ideal family car. This version hasn't lost touch with these 'core' values but gets a much needed boost in the style and quality departments. 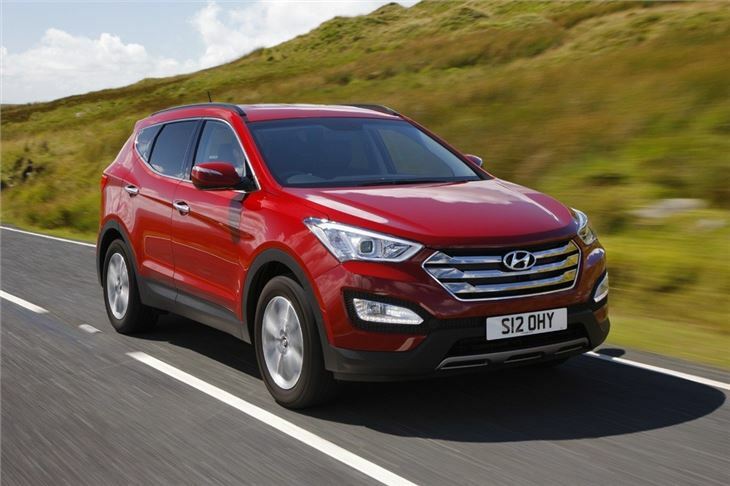 In terms of looks the new Santa Fe is a huge step forward over the old model. Gone is the boxy and ungainly profile, replaced by a lower and sleeker design. 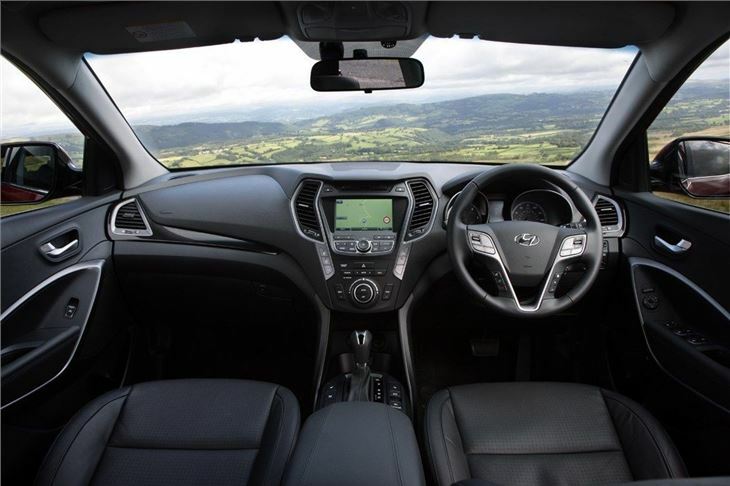 It's the next phase in Hyundai's family look, evolving the style seen on the new i30. You can expect to see the same look on the updated ix35, which is due next year. The front is certainly imposing with that large chrome grille and angular lights. 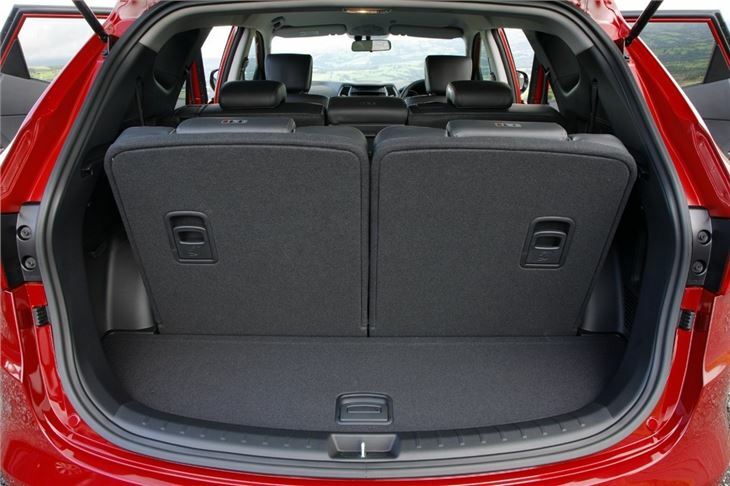 As before it's available with seven-seats and comes with an improved version of the 2.2-litre CRDi diesel engine in the current model, producing 197PS and with economy of around 48mpg on the two-wheel version. A great car to drive and own.